Hi friends! Rajasthan, is not only famous for its rich culture but what makes the state popular, is its cuisine.Dal fry served with battis is one of the most famous dishes from the state. All foodies must have tasted them at least once. Wash and soak moong dal, urad dal and chana dal in about four cups of water for an hour. Take the soaked dals along with the water in a pressure cooker, add salt, turmeric powder, chili powder and grated ginger to it. Close the lid of the pressure cooker and place it on high flame till full pressure is formed . As soon as full pressure is formed switch off the stove. Let the pressure cooker cool to room temperature. Open the lid and take out the dal in a bowl. Heat oil in a sauce pan, add cumin seeds, asafetida, dry red chilies, bay leaves, cloves, cinnamon, and cardamoms .Add finely chopped tomatoes. Sauté for few seconds. Add the cooked dals to this seasoning and mix well. Add juice of lemon and cook for few minutes till dal is well blended. Switch off the stove. Take out the seasoned dal in a serving bowl. Garnish with coriander leaves. Serve hot with the battis. Take wheat flour in a mixing bowl. Add salt, baking powder and half a cup of pure ghee. Mix well, rub with your fingers very nicely till mix resembles bread crumbs. Add sufficient water and knead into easily pliable yet a little stiff dough. Take small lemon sized portions of the dough, press firmly in to making round /circular/ balls ( just like while making chapatti ). we can make twelve battis with the dough. Keep aside. When the cooker becomes hot, put the baatis or round balls of dough one by one in the cooker. Making sure to keep only that many baatis as are in one line or in one layer only and are not on top of each other. Place the lid on the cooker and close it. Let battis cook on medium flame for 15 -20 minutes. Make sure that you shake the cooker well gently with hands without removing the lid every two -three minutes. The cooker can be rotated sideways and turned upside down gently ( see that cooker lid is tightly closed). This process will help in cooking the baatis from all the sides properly. Serve the baatis hot with dal fry. There is no need to dip the baatis in ghee before serving. 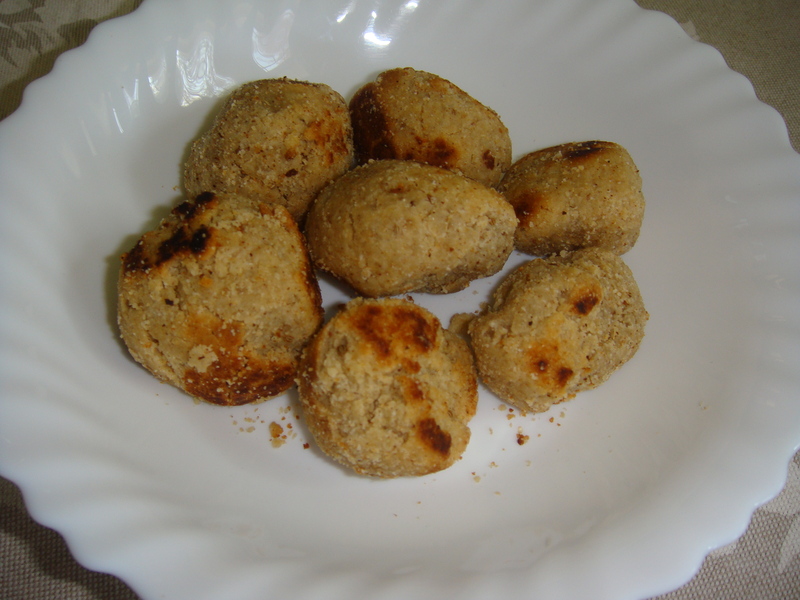 In this recipe baati is cooked with less ghee. Battis can be cooked faster. Dals are very commonly used in the Indian cuisine. It is hard to find an Indian household that does not stock up different types dals. As dals have to prepared on a daily basis, we need to have a lot of dals on board to maintain the variety. Besides dals are types of pulses that have many nutritional values. The health benefits of dals in general is that they are very rich in proteins. Bengal Gram Dal Chana dal or Bengal gram dal is one of the richest vegan source of dietary proteins. It is also rich in trace minerals like copper, manganese etc. 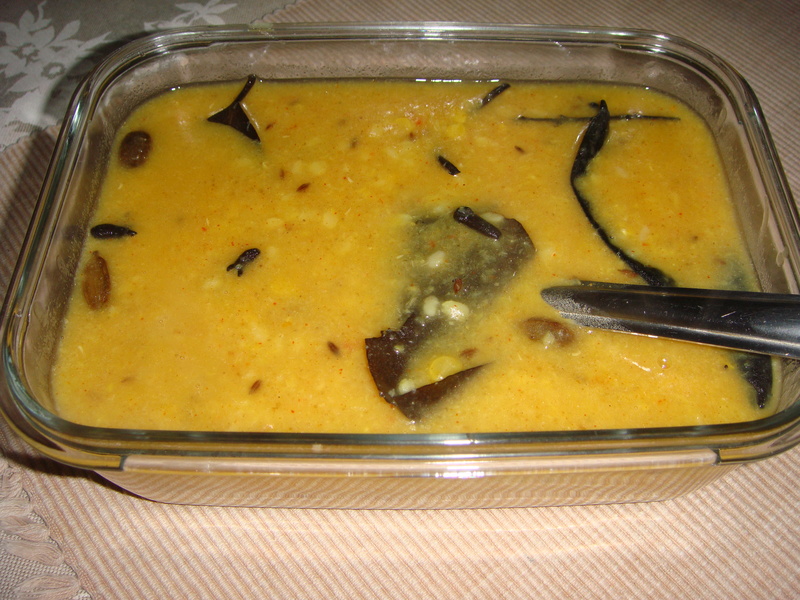 Having this dal helps keep diabetes at bay. Moong Dal Moong dal is a dieter friendly dal. This type of dal has minimal calorie and is a rich source of iron and potassium. Love it,the simple way you have made possible cooking of such delicious Batties at home!